The reason why Japan reels first time visitors back for a second, third, fourth visit is that it has much more to offer than just the dazzling lights of Shinjuku, the quaint temples of Kyoto and powder snow in Hokkaido. Indeed, scratch the surface of this enigmatic country and you’ll discover another side that’s bound to surprise you. 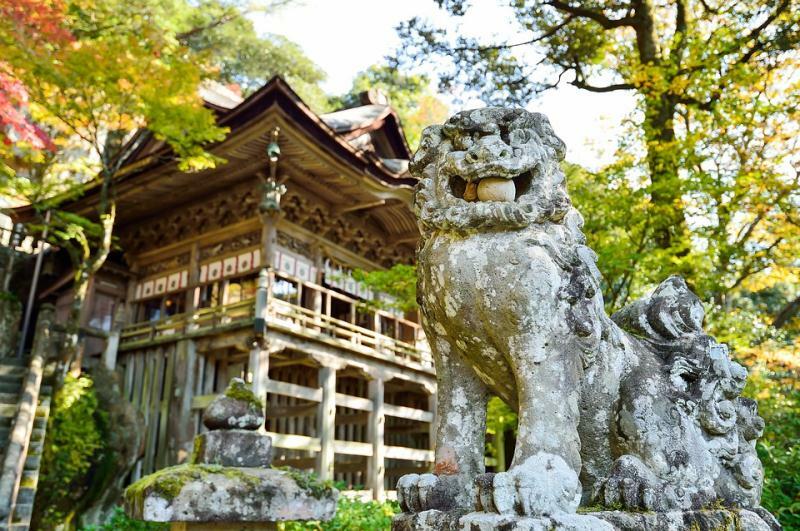 Here are just some of the things awaiting your discovery in the Land of the Rising Sun. The sound of noodles being slurped by a hungry salaryman; the whiz of a train speeding by on the platform; the piercing shrills of a megaphone-wielding salesman appealing to passersby on the streets of Tokyo: Japan is a cacophony of sounds. However sometimes it can get a bit too much, which is why in 1996, Japan’s Ministry of the Environment unveiled a list of the 100 most symbolic sounds in Japan. The list was compiled to encourage the Japanese (and visitors) to use their ears and rediscover the sounds of everyday life, such as the sound that tall bamboo stalks make when they bend and sway in the wind in the Sagano Bamboo Forest in Kyoto, or the famous mating dance of the red-crowned crane (tancho in Japanese) which is the second rarest crane species in the world and a symbol of fidelity, prosperity, love and long life in Japan. And then there’s the traditional folk music and dance of the Okinawans in the south, accompanied by the unique rhythms of taiko drumming and chanting. Japan’s cities are home to thousands of neon-lit adventures for the intrepid traveller, but outside the main urban centres you’ll also find plenty of adventure for those that love getting off the beaten path. For example, there’s exploring the 5000 metre by 7800 metre Ryusendo Cave in Iwate, where crystal clear blue waters form stunning underground lakes, or visiting the Shiragane Blue Pond up north in Hokkaido, a pond so blue that photographers flock from all corners of the globe hoping to capture its translucent beauty. If you own a Apple computer, chances are you’ve already seen the pond as it was used as an Apple desktop wallpaper years ago. Of course, as an archipelago, Japan is home to adventure-filled islands just waiting to be explored. Aoshima Island in Ehime is one of about a dozen “cat islands” in Japan that are known for their large population of cats. On this tiny island (only 1.6 kilometres long), cats outnumber humans by a factor of six! Japan has a rather wacky reputation around the world, and it’s partly based on some of the crazy experiences that you can only find in the Land of the Rising Sun. For example, we’ve all heard about those capsule hotels which are uniquely Japanese and offer visitors the chance to feel what it would be like to sleep in a spaceship! But did you know that at the Hakone Kowakien Yunessun in Kanagawa Prefecture you can actually bathe in onsen infused with real sake, green tea, coffee and even a ramen filled bath with artificial noodles? Or did you know that there’s a festival called the Nakizumo Crying Baby Festival (in Tokyo, Kanagawa, Hyogo and other locations) where Sumo wrestlers try to outdo each other by seeing who can make babies cry first! Japanese Popular Culture is rich, well-developed, and its influence reaches much further beyond Japan’s shores. Sure, everybody has heard about Japanese manga (comic books) and anime (animation), but it’s not until you wander around Akihabara (“Electric Town”) in Tokyo that you can even begin to understand just how big it is over here. For a unique experience of this interesting facet of Japanese Pop Culture, check out one of the area’s many manga cafes where you can read from an extensive library of titles and even spend the night if you fail to take the last train home. Another product of Japanese Pop Culture is the concept of kawaii (roughly translated as cute) which signifies much more than just cute faces with giant eyes and rounded shapes (Hello Kitty and Pokémon characters perfectly epitomise the kawaii look).